Which Side of The Line Are You? There is a line. Forty-six million Americans are on or below that line. More women than men are on or below that line. One in five children under 18 are on or under that line. The line is poverty. Above the line, you’re not in poverty, below the line you are. Here’s the kicker: the income levels for the line aren’t realistic for anyone. Are you a family of four, two adults and two children? Can you live on $22,811 per year BEFORE taxes are taken out? Are you single and under 65? The line for you is $11,702 BEFORE taxes. Are there two of you, over 65 in your household? Your line is $13,596 BEFORE taxes. I know several people over 65 who pay more than that in prescription medications alone! The face of poverty has changed. Most people in poverty work at least one job. Many are college educated. More people in poverty live in the suburbs than urban centers. People don’t choose poverty. Poverty finds you. 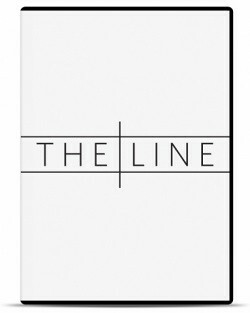 The social justice magazine Sojourners in partnership with World Vision, Bread for the World, Oxfam, and other foundations, produced a movie called The Line. It tells the stories of four people, who through no fault of their own, have fallen below the poverty line. I bet someone in your circle of friends is on that line. You might be surprised. I posted information about The Line on my Facebook and Google+ pages and tweeted about it. Courageously, a couple of people privately reached out to me and shared their experiences. Poverty is not going away, especially in this economic climate. We must talk about it. More importantly, we must do something about it. There are safety net programs help tie people over. They don’t solve poverty. They only take the edge off hunger. Programs like reduced school lunches for children and Meals on Wheels for seniors and the disabled. As unpleasant as the prospect is, poverty is a political issue. The policies we set and the programs we fund will either give a hand up or keep us on the slide we’re already on as a developed nation in decline. Which side of the line are you? My husband and I are below the line. I know a couple men below the poverty line who live in a “hotel” in Folsom. Bright, intelligent men struggling to make it work.